Here at The Online Academy of Irish Music you’ll find that we LOVE Irish Music, it’s as simple as that. We love Ireland, we love Irish culture and we love the Irish. But most of all, it really is all about the music and connecting through the music. 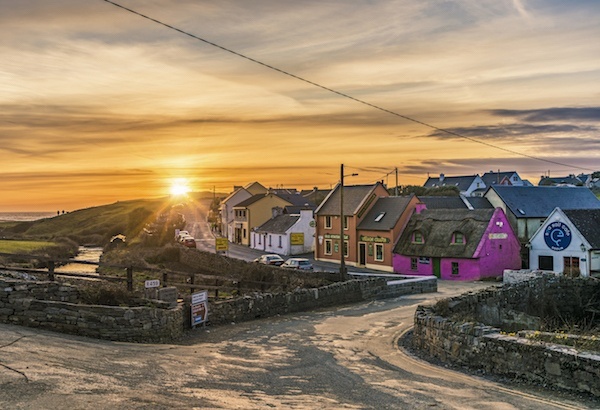 OAIM is headquartered in beautiful Doolin, Co. Clare, the heart of traditional music in Ireland, and with our unique online platform, we provide quality tuition in traditional Irish instruments—via video streaming—to the world. Most beginners start off with our hugely popular course Tin Whistle Basics, this gives them a real taste for Irish music. Then before long you’ll find students begin to dabble in the Bodhran, Flute, Fiddle, Concertina, Button Accordion, Piano Accordion, Harp, Uilleann Pipes and Irish Song. We’ve found many coming from other traditions also to accompany Irish music with the Guitar, Piano, Tenor Banjo, Mandolin and Bouzouki. So really, there’s something for everyone here no matter what instrument calls to you. The best thing is that you don’t have to be able to read music. All of our instruction comes with easy to follow ABC standard notation downloads, sheet music, and mp3’s. Historically, the tradition was passed down from generation to generation; budding musicians would learn by listening, watching and being present with the music masters. You see Irish music is an aural tradition, learned from listening. Today, we provide this musical presence of the masters via a high quality video platform that is streamed globally. OAIM is accessed by thousands of students worldwide. It is a very popular way of learning Irish music for those who don’t have access to an authentic, professional, Irish music teacher. Even those that do find the access to a huge library of backing tracks a priceless resource. The Pub Sessions are also a source of great nostalgia and craic for those who appreciate and miss the great pub scenes and music sessions Ireland is famed for. Our teachers are some of Ireland’s finest professional musicians that frequently play on national television and radio stations in Ireland and have their own successful musical careers. They use the phrase by phrase technique in their teaching, which is the time-honoured way of passing on the tradition. Head over to our Tutors page to read more about them and their caliber. Students from all over the world converge here to access Irish music tuition, discuss their lessons and progress, and meet with one another in the forums. This is a popular community for the Irish diaspora abroad and those who may not have any ancestry in Ireland and who just simply love the Irish music genre. When you subscribe to OAIM, you are joining a rapidly growing, worldwide, community of Irish music learners. Although based on the western seaboard of Ireland, our online community reaches all corners of the globe. 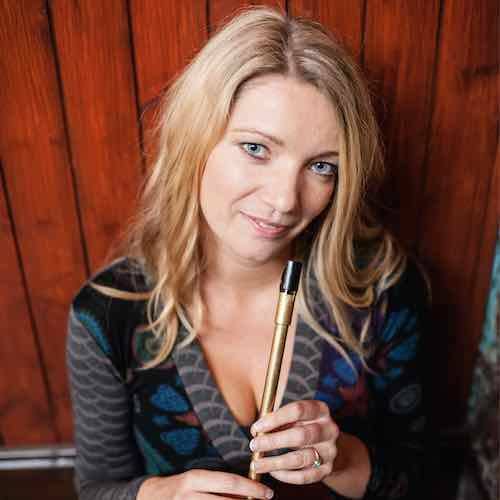 Kirsten Allstaff, acclaimed flute and tin whistle player, along with her husband Matthew Curley, budding concertina player, began the Online Academy of Irish Music in 2010—changing the face of Irish music learning, as we know it, in the process. 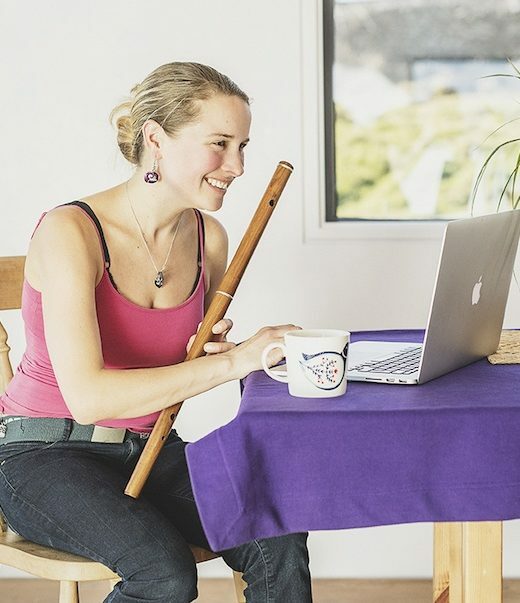 While Kirsten brought the musical acumen, Matthew brought the technical know-how, and together they enrolled the support of twenty three of Ireland’s finest Traditional Irish musicians to create a formidable video library of Irish musical tuition. Every year we continue to innovate and grow the Academy. We were quick to embrace the Virtual Reality revolution, recording some 50 sets of live Irish pub sessions in 360 degrees viewing format—available only to subscribers. We also innovated with a practice tool that allows you to play along to a track at 3 different speeds, with or without melody or accompaniment. For these tools alone, not to mention the state of the art tuition, the Academy is renowned as an invaluable resource for international students keen to master Irish music instruments.